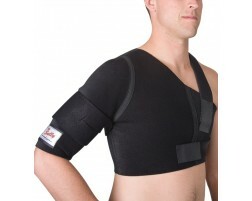 These are the braces, supports, and therapy products we recommend specifically for hockey players. Hockey is a full contact sport, which also means that the risk of injury when playing hockey is much higher than many other sports. Impact injuries can occur from falling, colliding with other players, or from being checked into the side of the rink. These types of injuries may lead to torn ligaments or sprains that keep a hockey player out of action for several weeks, or in some cases an entire season. Repetitive stress injuries are also common in hockey, especially in the back from long hours of hockey practice or games crouched over the ice. Goalies are at risk for knee pain from defending the goal with the knees bent. 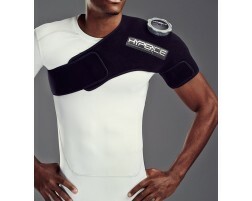 Hockey braces help to provide support and stabilization to guard again impact and strain injuries. They can protect hockey players from receiving injuries or they offer support that can protect athletes who are recovering from injuries. 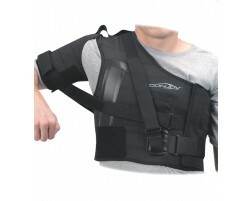 Check out our hockey braces recommended by our brace coaches today!